You don’t always have to renovate or remodel your home to fetch a decent price. In fact, there’s plenty you can do yourself with just a few free days and a couple hundred pounds. Here are 7 quick and easy ways to add value to your home if you’re planning on selling. Too much clutter is a major distraction for buyers. They want to see the space as it will be when they move in so they can imagine their own things inside your house. Find a place to store your belongings without shoving them in fixed cabinets or the garage – buyers will often look. Get rid of anything that’s highly personal such as family photos so it doesn’t feel like “your” space. In addition, chuck away anything and everything that you can. According to home renovation expert and editor of the Charles and Hudson blog, Thimothy Dahl, cabinets are usually one of the biggest issues. If they are looking old or out dated, reface them with some fresh paint or add some new screws and hinges. Make sure the insides look presentable. The less you have in them the better. Make sure you put a fresh coat of paint in the most important rooms of the house – the kitchen, living room and master bedroom. Patching up the paintwork is the cheapest, fastest and easiest way to freshen up your home. If possible, only use a neutral colour scheme. When you’re finished, don’t ruin all your hard work by re-hanging art or anything that will damage the walls. Replace any lights that are damaged, broken or dim; this includes lampshades. Ditch anything that’s too low and tacky as they’ll do nothing but take up space. Get rid of energy efficient, yet very ugly fluorescent tubes in the kitchen. If possible, use bulbs that are a higher wattage in order to enhance the light. The problem with flooring is that you’ll never know what the buyer will like. With walls you have the option to go neutral, which is fairly cheap and safe; however, flooring isn’t so easy to replace. While laminate is generally favoured, some people still prefer carpet. Don’t waste money replacing your floor, and instead, simply give it a thorough clean. If you have carpet stains rent a steam cleaner; otherwise give your laminate a scrub and place a fresh, neutrally coloured area rug over the top to give it some character. If you don’t have much space, you’ll need to create the illusion of extra room. Try to free up floor space as much as possible. Remove anything that’s not essential by putting it into storage. Don’t forget the exterior. Arrange an outdoor seating area with a small café table to show that there’s enough room for an exterior recreational space. Spruce up your entrance by removing stock piles of shoes and jackets – only keep what you really need. 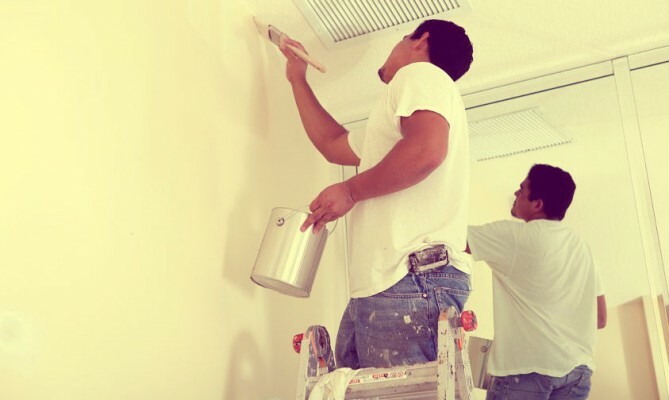 The final touch up is probably the most important part of increasing the value of your home. People will be checking every nook and cranny and will assess any damages with close scrutiny. Fix any sealant in the bathroom; tighten up leaky pipes; screw in loose doorknobs, etc. The finer details can make a huge difference and could be a deterrent. If you really want to increase the value of your home, use a property consultancy service. Companies such as Robert Irving Burns will perform an assessment of your house and recommend changes that will help you increase its overall worth.